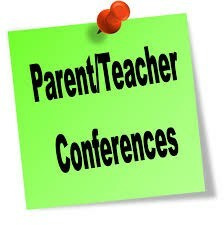 Parent Teacher Conferences are scheduled from 5:30 - 8:00 pm on Thursday and from 1:00 pm - 3:00 pm on Friday. We look forward to seeing you! Parent Teacher Conferences will be held on Thursday evening from 5:30 pm – 8:00 pm and on Friday afternoon from 1:00 pm – 3:00 pm. In addition, during the Parent Teacher Conferences, we will be hosting a PupilPath workshop. If you need your log in information, or are having difficulty with PupilPath, please stop by the Library for assistance.